As I mentioned in my recent people who rock the industry interview, I think that subject area knowledge is one of the most important trends we’ll see in translation in the next few years. To read a thorough explanation of how subject area knowledge relates to what we do, check out Kevin Hendzel’s fantastic blog post on the topic. Translating involves three main knowledge areas: the source language, the target language and the subject matter. 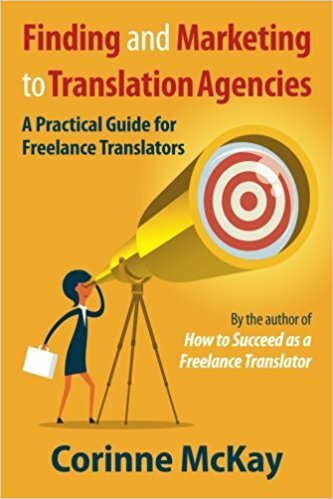 I think that the translation industry has evolved from emphasizing knowledge of the source language (when the conventional wisdom was that anyone who knew another language could be a translator), to emphasizing the target language (when we realized that you also had to be a really good writer in your target language) to realizing that subject area knowledge matters a lot as well. Some translators, who started out as financial analysts or microbiologists or patent attorneys are all set when it comes to subject area knowledge. For the rest of us, it’s time to think about deepening our knowledge of the areas in which we translate. I do a lot of international development translation. The blessing and the curse of this work is that it covers a huge range of subject areas; on any given day I might be translating about how to grow organic sesame plants with less water, how to keep vaccines cold in areas without electricity, or how to convince semi-nomadic populations to purchase land titles. So there’s a lot to learn, and that’s part of what I love about this specialization. A lot of what I translate falls into the general topic of public health, so I was interested to find a Principles of Public Health course offered by Coursera, an online learning platform started by two Stanford professors. At the moment Coursera’s classes are free, although the company is not a non-profit. The classes are non-credit, although for many of them (including the one I’m taking), you receive a certification of completion if you earn a certain score on all of the online quizzes associated with the class. Principles of Public Health started yesterday, with–get this–15,000 students. Hence the neologism MOOC, for “massive open online course.” As such, it’s a given that there’s no individual interaction or feedback from the professor. But so far it’s really interesting. The class consists mostly of video lectures, recorded during the in-person version of the course that the professor (Dr. Zuzana Bic) teaches at UC Irvine. This adds some interest to the video lectures, since instead of a “talking head”-style presentation, you get to hear the discussions that happened during the live class. Also, Dr. Bic is a really engaging lecturer who clearly loves her job, so that livens things up as well. The video lectures are broken down into modules of about 10 minutes, and at some point during each video, the presentation pauses and you answer a question to make sure that you’re paying attention. The class also has multiple online discussion boards, and each week there’s a quiz, for which you get two attempts. I haven’t taken the first week’s quiz yet, but I’ll report back after I do. After watching the first half of the first week’s video lectures, my impression of this class is extremely positive. It’s obviously for an educated audience, but you don’t need a science degree to understand it. Also, it relates very well to the kind of translations that I do: focusing on how to prevent or reduce the occurrence of diseases within a community as a whole, rather than how to cure a specific person of a specific disease. It’s also the first self-paced online course I’ve taken, and I think that if you have the discipline to work on your own schedule, it’s a very pleasant flexible option. Of course the catch is that Coursera is a for-profit company and the classes likely won’t be free forever. In fact, they’ve already started rolling out fee-based classes, at approximately $90 each. Even at that price, I think that Coursera and similar MOOC outlets provide a nice medium between studying something on your own and enrolling in a much more expensive course through a brick and mortar university. Has anyone else tried them? Oh, and–Coursera offers classes in *one* language besides English–French! The Ecole Polytechnique Federale de Lausanne professors offer some classes in English, but also teach two computer science classes in French. I’ve signed up for quite a few in the field of law and sustainability, but have to wait till I finish my DPSI in June, otherwise I wouldn’t be able to keep up. I can’t wait to start! Thanks Diana! Let us know what you think of Coursera when you try it! I just finished my first class through Coursera (which I learned about from your pre-conference seminar at ATA53), “Drugs and the Brain” by Dr. Henry Lester of the California Institute of Technology. Since it was advertised as not requiring any molecular biology or chemistry background, I expected it to be a very basic, introductory class. But I was pleasantly surprised by how in-depth it was. Although not a full semester-length course (it was only 5 weeks), it was taught much like a real university-level science class. It was much more challenging and much more fun than I expected! I absolutely loved it and immediately signed up for several more classes! I just started “Energy 101”, and I’m not quite as in love with this class, at least so far. One feature I really like is how you can control the lecture: you can pause it to look up an unfamiliar term or concept and then pick up right where you left off, or you can rewind to repeat something you didn’t catch the first time (not something you can do with a live professor). Also, the instructor for my new class talks rather slow–did you know you can control the speed at which the recordings play? I’m watching lectures at 1.25 times normal speed. They also have subtitles, which are especially useful to students who are not native speakers of English. I love Coursera! Thanks Corinne for introducing me to all it has to offer! Thanks Amy! Glad to hear from another Coursera convert! The class I’m taking is also 5 weeks, and I agree that it feels much more “real” than I expected. That is an awesome tip about slowing down or speeding up the recordings (good for interpreting practice too!!). We just “met” on Coursera, and I’ve met other translators on there too, so although it doesn’t look promising for networking it has been a nice surprise to find other translators taking the same courses. I also took Drugs and the Brain and loved it. I’ve completed three courses so far (Writing for the Sciences, Experimental Genome Science, and Drugs and the Brain) and am currently enrolled in two others (Introduction to Genetics and Evolution, and Introduction to Organic Chemistry I). The classes can be very challenging – I have just withdrawn from Energy 101 due to lack of time (and you can do that with no penalties, unlike traditional courses). I have learned a lot from all the courses I’ve taken so far and find the video lecture format very easy to use, especially making the instructor repeat themselves until I have every word! There are also subtitles for the lectures, although they’re not always accurate. The peer grading on some courses has had some complaints as well, but I don’t expect a free system to be perfect. I think it’s a fantastic resource for translators who want to specialise or keep up to date in their specialist area, and the ITI also recognise Coursera courses as “formal” CPD as they’re offered by traditional universities. Karen Tkaczyk was kind enough to tell me about Coursera last year, and we have an article on MOOCs coming out in the next issue of the ITI Bulletin. I’m currently taking “Think Again”, which is very enjoyable, too. Oh, and get this: 170,000 students enrolled for that one. Your 15K sound rather lame now, don’t they? (just kidding :-D) Despite the size, the instructors and their team do actually keep an eye on the forums and respond to various posts. Overall, a very pleasant experience. I already have a list of additional classes I want to take, and I wouldn’t mind paying a few bucks. All in all, I would definitely recommend Coursera to anybody with some additional time on their hands. Thanks Simone! Wow, my 15,000-student class seems tiny by comparison! That is amazing that your professors follow the discussion forum even with a whole city of students. I agree that I would pay for the course I’m taking; much more rigorous than just reading books on my own and much more affordable than a regular college course. Hi Corinne! Yesterday started a new course 🙂 and I think Coursera, as well as other MOOCs, is great! It is an eye-catching and budget option. And quite a statement: given their certificates are issued by the likes of Columbia, Stanford or Edinborough Universities.. Hoping this to enhance my starting career in media translations, so looking forward to the awesome courses offered by Berklee College of music, also: Survey of Music Technology, The Language of Hollywood: Storytelling, Sound, and Color, English Composition..
Btw, for non-native speakers of English, there are groups in the forum formed by and for the speakers of other languages like Spanish, Russian..I think it must help to discuss and translate, say, some terminology into your language. I.ve already enrolled in the’ English Common Law’ course and the ‘Social Psychology’ course with http://www.coursers.org. Can’t wait to get started- having read the associated comments- it sound’s encouraging; so, I’ve spread the words accross my networking groups and colleagues. I would be interested in a consise and straight-forward ‘Comparative Law’ course to substantiate my subject knowledge. I am currently following an Astrobiology course on Coursera and enjoying it very much! It addresses to a general audience, but my scientific background is very helpful to grasp the concepts more quickly. Astrobiology is a very interdisciplinary field and there is a lot to learn. Excellent for personal interest and for learning new things and vocabulary for my translations! I will report in my blog when I finish the course. HI Corinne, Keila here. Since our last course, I signed up for the Energy 101 and the Songwriting class (this one just for fun). I am keeping an eye on other classes with relevant topics, as time allows too. Thanks again for yet another useful tip! Corinne, I’m so glad you’ve discovered the wonders of Coursera. I’ve taken a few classes on there, including a Python programming class and a math class. I’m currently in a finance class, which I really, really love. I agree, Corinne. Coursera is an excellent way for translators to further their subject knowledge as you can decide when you want to watch the video content, and even do it completely in your own time if you’re not bothered about end-of-course certificates and quiz results. I did the Statistics One course in Sept/Oct and blogged about my experience here: http://signsandsymptomsoftranslation.com/2012/10/29/stats1-final/ and followed it up with Writing in the Sciences http://signsandsymptomsoftranslation.com/2012/09/24/writing/ which I found much lower key but more stimulating. Enjoy your Principles of Public Health! Hi Corrinne, +1 on Coursera – great platform. I have signed up for two courses in computational linguistics for this year (after having a first look last year at the course by Dan Jurasfky and Chris Manning). The platform is very well built and has varied content, ranging from video lectures to programming assignments (which are automatically graded). IMHO, this way of learning is the future of education, especially for busy professionals who can’t attend a full-time university course and who might not be comfortable over-committing to deadlines (after all, the next juicy project might be just around the corner). What I am missing, though, is an organised local study group and a personal mentor or tutor. I guess the latter would only be available in a paid course. Some of your readers might also be interested the courses offered by the Hasso-Plattner-Institut in Potsdam. They have a similar offering, also free (as in beer): https://openhpi.de/ The next course, starting next week, is on the Semantic Web, a concept that might also become very relevant for translation (e.g. how to you translate ontologies from one language to another when the ontologies are dependent themselves on language and culture). I am currently taking two Coursera courses (Fundamentals of online education and Introduction to philosophy) and my experience is also very positive so far. I am thrilled by the new chances of professional and personal growth MOOCs and online platforms offer and it’s good to see other freelancers are taking advantage of these new possibilities. The courses also offer more than just the material they cover. The discussion forums (and social media conversations with other students) can be a great way to connect with other people who work in these areas! Great post Corinne, I have been taking a couple of courses on Coursera for the past few weeks and am really enjoying them! I think it is a great platform – while you have to be motivated to get the most you can out of it, all the information is there for you in a very clear and organized manner. I’m taking E-learning and Digital Cultures, which is certainly relevant to us as translators, as well as History of the Modern World. I think Coursera could be very popular with translators, as continual learning is an important part of the job. Hi Corinne, another Courserian here. Greetings from Uruguay. I’ve already taken Fantasy and Science Fiction and Writing in the Science. Now, I’m taking E-learning and Digital Cultures and Equine Nutrition both from Edinburgh University and Fundamentals of Online Education: Planning and Application. I’ve already enrolled in English Composition I: Achieving Expertise which will start on March 18th. I’m also a translator Spanish/English/Spanish. Coursera is a great platform!!!;o). I discovered Coursera last year and signed up for “Writing in the Sciences”. It was pretty intensive and I wasn’t able to keep up the pace but the content is still available so I can take the lessons when I have time. I’ve just signed up for Introduction to Pharmacy, Fundamentals of Pharmacology and Clinical Terminology for International Students. Can’t wait to get started! I found out today that Coursera is adding 29 universities to their list. Among them, 2 very well-known universities from the Spanish-speaking world. Great!